Last week I shared some of my thoughts on what it means to balance work and a young family, and why that’s meant I’ve felt like I’ve lost my way as a project manager. I got a lot of emails in response to that. It seems like everyone is struggling in their own way, although the challenges are common. My heart goes out to you. My daughter is in the same boat and it is hard. Three things we have found that might help. First: Exercise – It will give you more energy and focus. Sounds crazy when you are so busy and exhausted – but it works. Second: Nutrition – Stress and lack of sleep are hard on the body. Have tried all sorts of supplements and this one makes the most difference, IntraMax liquid. 1 T morning and afternoon and you will be alert and ready to go. Third: Delegate (Outsource)– Anything you can personally get help with, do. Housework, laundry, grocery shopping. I used to hire a pre-teen to play with the kids for a few hours. We all enjoyed it. It gets better and easier. I have onboarded a new team member just last week to help out with managing the blog and my self-employed business, so I’m taking steps to delegate and get help. I often feel spread too thin and not able to do any one thing super well, or with a great deal of thought behind it. But every once in a while I find a state of grace where I feel the ground under me and the ability to put some thought into what I’m doing and produce (or be part of the production of) something great. I can say that, with my kids being 18 months apart, the first 4-5 years were the absolute hardest. Exhausting and adorable and amazing and somewhat of a blur, too, sadly, probably because of the lack of sleep! And, it really does get easier. Not easy. But easier by like a mile, once you get your sleep back. It will happen soon. Yep. Looking forward to that. Your role sounds a lot like mine. I moved from a corporate project manager role to a programme coordination role where a PMO does not exist. I do lots of coaching, [internal] consultancy, I develop and publish the Project/programme management framework with guidelines and templates. I also manage the projects that no one else wants to because they are too small, too boring or too risky. It seems like this was just the natural progression from pure project management to a strategic role with strong project management skills and experience. I am starting to realise that pure project management of the exciting projects is something I need to leave for the less experience staff and I am of more value to the organisation being a good role model for project management and programme management. I spend a lot of time observing and formulating good advice. Isn’t that what you a really good at? The question for you is “where do you bring the most value to your organisation?” Maybe you offer better value to your organisation doing something other than “pure” project management. Maybe I do. His words made me totally rethink my role and the value I add to the team, in a positive way, and I hope they help some of you too. Thank you for the honesty in this post–it’s definitely something I needed today. With two elementary-age children and a newborn at home, I’m actually starting to believe that I can’t juggle it all (and becoming exhausted by the expectation that just because, as a woman, I can do it all, means that I should.) Being an independent contractor I barely took a maternity leave and now I’m drowning in a multi-million dollar project that requires way more hands on deck than I’ve been given. [I’m] trying not to let it stifle my confidence. I know I’m good what I do, it just kills me that I feel like I can’t be at the top of my game in both my professional life and my personal one. As I type this, I’m staring at my 2-month old daughter hoping that she never feels the need to choose between her career and her family. Even if you are the most productive and smartest employee out there who can handle multitasking easily, overwork will eventually lead to burnout and productivity decrease. 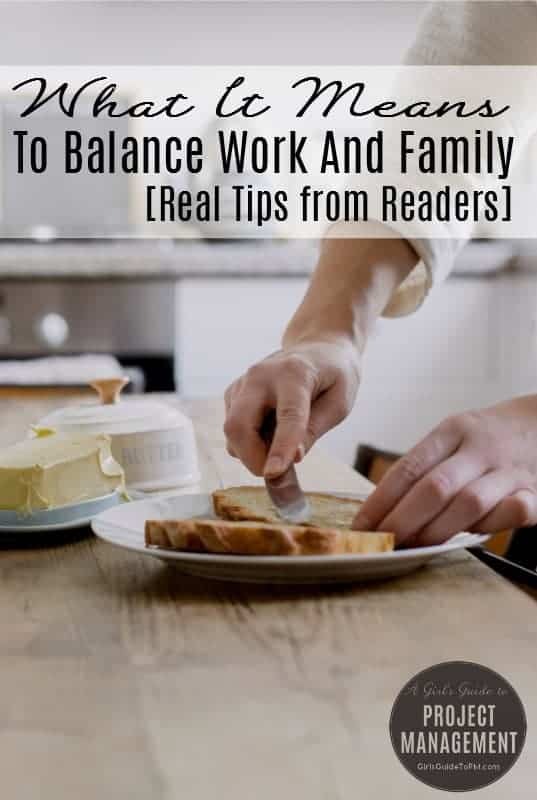 And maintaining your own work-life balance does not only depend on you. A project manager plays a great role in here to handle his team’s better work-life balance.